"A fascinating, often hopeful journey through the landscape histories of 'vibrant resistance'--anarchism, anti-slavery movements, social-justice activists--that have sprung up across North America over the last two centuries." "Though the histories in This Radical Land took place long ago, the era’s conflicted ideas about preservation, sustainability, and progress still confuse the debate over just what our relationship to nature should be." "Miller offers an engaging interplay of natural and political history, and demonstrates an eye for that single detail that can illuminate the whole damn diorama. . . . Miller succeeds in sketching an evocative if episodic shadow history of American expansion, and succeeds also in unearthing the 19th-century roots of an environmentalism founded in sustainable human engagement with the natural world." "Inventive. . . . A creative linking of landscape and radicalism." 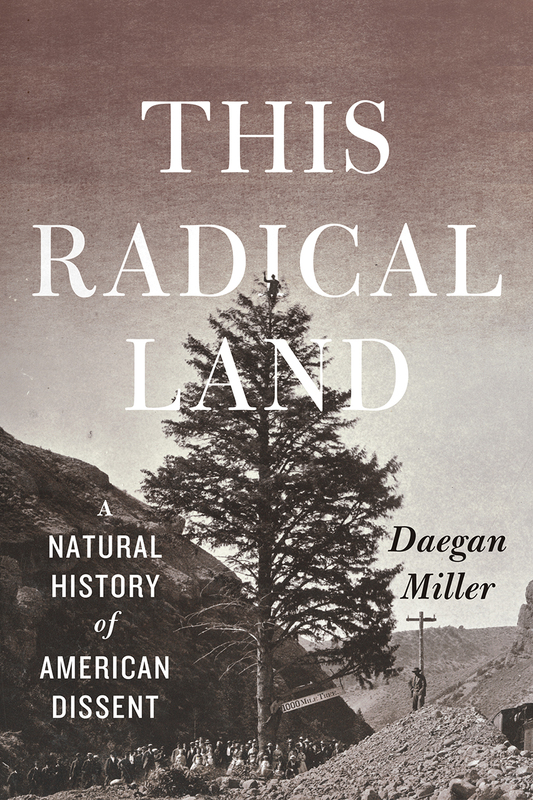 "Through interpretive brilliance and gorgeously crafted prose, Daegan Miller's This Radical Land: A Natural History of Dissent rescues this sense of environmental awe from excessive skepticism. . . . One of the most elegant and insightful examples of environmental writing I've seen in many, many years." "Nuanced, provocative, and immensely learned. . . . We would do well, through the conversation started here by Miller, to find the sparks of 'radicalism' in their relations with nature, and use those sparks to build our world." "Drawing on superb scholarly detective work, This Radical Land tells fascinating stories about the history of our ties to the land that give us an alternative to viewing natural spaces as either a resource to exploit or a wilderness museum for the privileged. Miller peels back the history to reveal that, however ignored, Americans have always resisted the exploitation of nature. Perhaps his more nuanced environmental history will inspire those today who, continuing the mute protest of the witness tree, would pull the planet back from the brink of death." "Daegan Miller rekindles a legacy of environmental dissent. The ideas and landscapes of nineteenth-century 'countermoderns' are signposts, still legible, to alternative futures. This book bears witness like a burning bush." "Remarkable. . . . All told, Miller has produced a wonderful work, not just of environmental history, but also of nature writing in its highest form. This is a book worth reading."